I have always been a Snoopy and Peanuts fan. 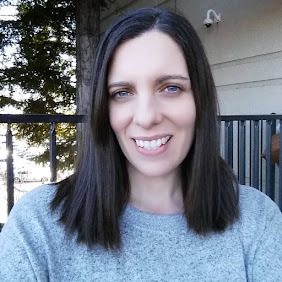 I grew up watching the movies and have loved sharing the movies with my own child. With the release of the new The Peanuts Movie I have even gotten my reluctant husband into being a Snoopy fan! When we read on a happy meal box that there was a video game Snoopy's Grand Adventure being released I knew it would be a must have for our holiday list. We have 2 gaming systems in my house, the Wii U and Playstation 4. I was able to review the game on both systems and both have pros and cons. 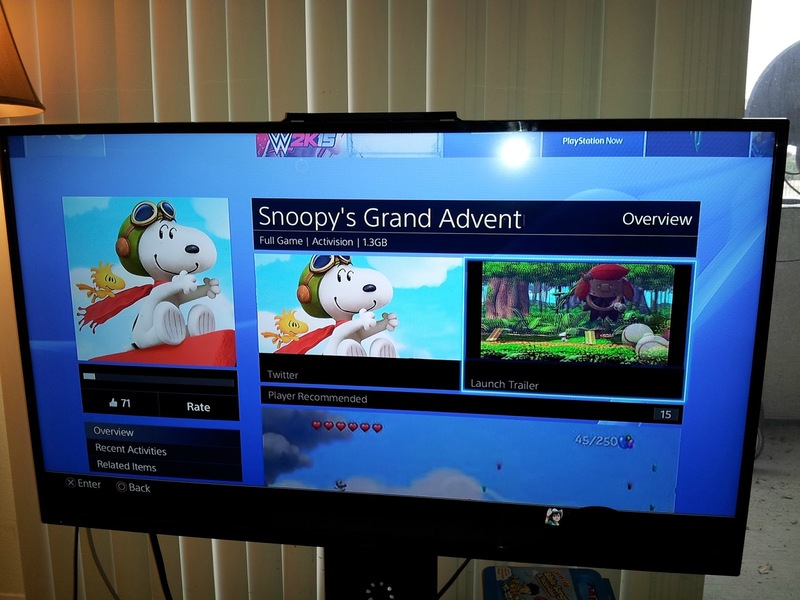 The PS4 has a higher resolution making the game more crisp looking but the Wii U has the ability to be played in the mini game controller screen. 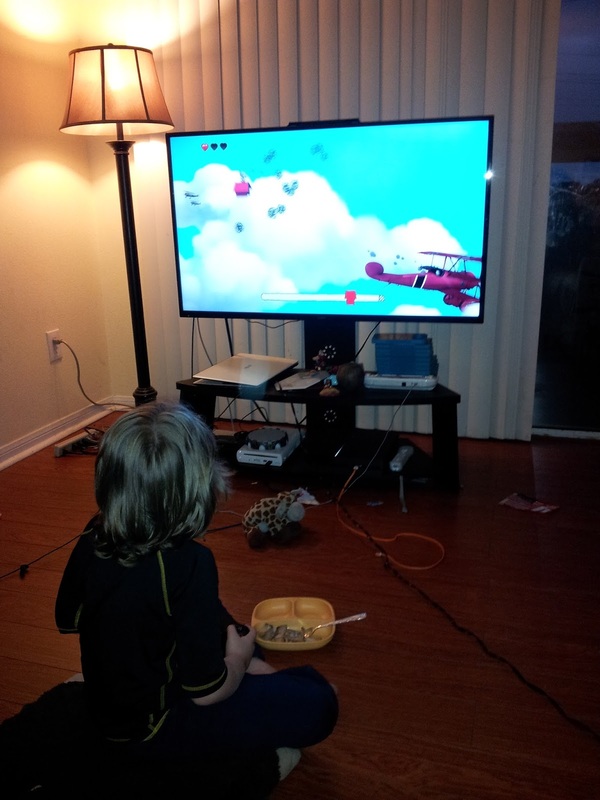 My son was able to play the Snoopy game on Wii U while my husband and I watched a movie on the tv. I found that to be convenient since we did not want him to be alone in the other room playing video games but still in the room with us enjoying his game. To save time you don't even need to buy the game at the store, you can download the full version on your system from the Playstation Network or Nintendo Network. My son has loved the game and has already beat the main story line but needs to go back in to collect certain items in the game to unlock all the special items. I enjoyed watching him play since it was all the Peanuts characters I love! Often times I find other things to do while he plays games but this one brought the whole family together to watch and play. My son's favorite part of the game was the level where he was flying and chasing the Red Baron! I really liked the first level, the game is so colorful and the game play is smooth. We have enjoyed the game and movie so much it inspired us to take a trip to Southern CA to Knott's Berry Farm to celebrate our son's birthday. Having played the game first the theme park was that much cooler to him. When he rode the Red Baron ride he yelled I am just like Snoopy in the video game! Too cute! SANTA MONICA, Calif. – Nov. 3, 2015 – Activision Publishing, Inc. has released The PeanutsMovie: Snoopy’s Grand Adventure, a new console game, as a part of its deal with PeanutsWorldwide. The game is inspired by the classic comic strip from Charles M. Schulz, which just recently celebrated its 65th anniversary. This side-scrolling exploration platformer features simple, pick-up-and-play controls and the classic characters and humor of Peanuts, delivering a great experience for fans of all ages. 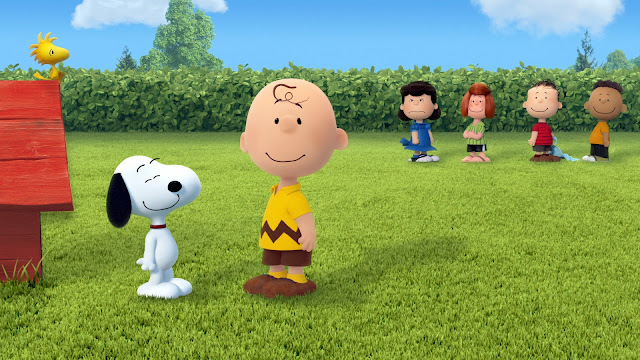 When Charlie Brown and the gang run off to play hide-and-seek, Snoopy hits the trail to track them down. As players dive into the wild worlds of Snoopy’s imagination, they’ll traverse a multitude of different environments, from the deep jungle to the moon itself, each teeming with surprises and dangers. Snoopy can reach new places with unique hidden costumes that give the beagle new abilities based on his many infamous alter egos, including Joe Cool and the Flying Ace, which unlocks special flight stages. 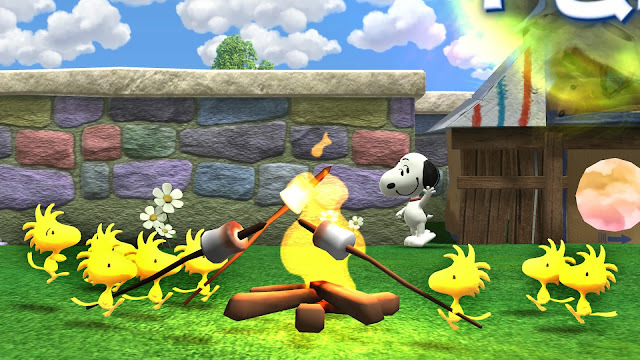 A second player can partner up as Woodstock to help Snoopy get past dangerous creatures and obstacles, or find secret paths and collectibles such as jelly beans and the trusty Beagle Scouts. The Peanuts Movie: Snoopy’s Grand Adventure draws from the distinctive style and playful charm of The Peanuts Movie, coming to theaters on Nov. 6 from 20th Century Fox and Blue Sky Studios. The varied worlds of Snoopy’s daydreams are painted in gorgeously colorful 3D detail, and the film’s vocal cast is showcased throughout the game. 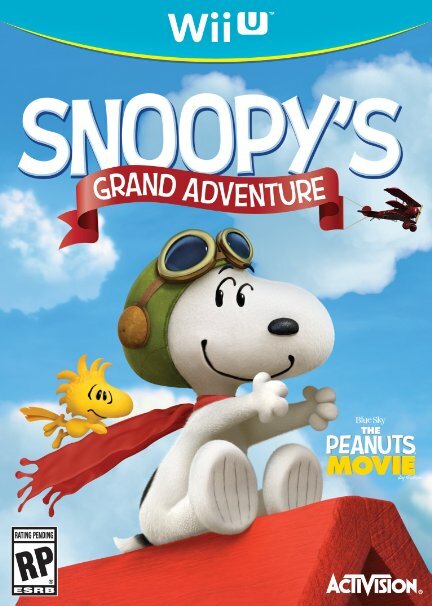 The Peanuts Movie: Snoopy’s Grand Adventure is out today in North America on the PlayStation®4 computer entertainment system and Xbox One for $49.99 MSRP, Xbox 360 and Nintendo’s Wii U™ system for $39.99 MSRP, and the Nintendo 3DS™ hand-held system for $29.99 MSRP. It is rated E (Everyone) by the ESRB. In addition, Activision Publishing, Inc. will be launching Peanuts: Snoopy’s Town Tale, a free-to-play mobile game for select iPhone, iPad and iPod touch devices, on Nov. 5 via the App Store. Players can join Snoopy and other fan-favorite PEANUTS characters to build, explore, and go on quests through the iconic locations from the comic strip. Peanuts: Snoopy’s Town Talewill be available in December for select Android devices through Google Play and Kindle Fire via the Amazon Appstore. If you are a Peanuts and Snoopy fan I highly recommend getting this game for the children in your life. You can find Snoopy's Grand Adventure at most stores that sell toys and games, I saw a great deal at Target for the game.